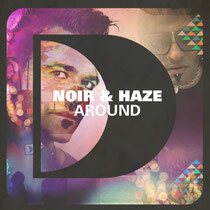 Out this week, this is the Noir & Haze anthem from 2011 now remixed with shiny new mixes for this summer’s season in Ibiza. With its memorable line of ‘what goes around will come around and come back and get ya’, which we couldn't agree with more, this is a true house music tune, complete with great beats and a cool vocal. After last year’s remixes from Subb-an and Solomun, this year it falls to Habischman, Rudimental and Oscar G and Ralph Falcon, aka Murk, to do the honours. Habischman takes the track on a slower, deeper, darker journey, emphasising the bass and complimenting it with the stunning vocal. Rudimental gives the beats more energy, stripping it back more, and using the catchy vocal hook on repeat. Murk do what they do best, taking the track in a tribal direction, upping the tempo, adding main room elements and keeping the floor happy with the key vocal parts. Three really good mixes, all suitable for different times. Check out the Murk mix below.